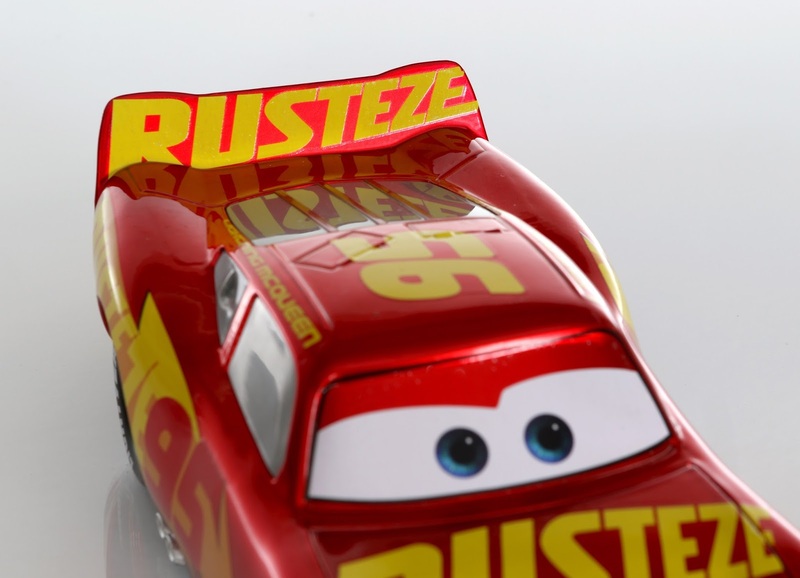 Back in April, Jada Toys (a toy company which specializes in metal products), released their new line of 1:24 scale Disney·Pixar Cars diecasts. 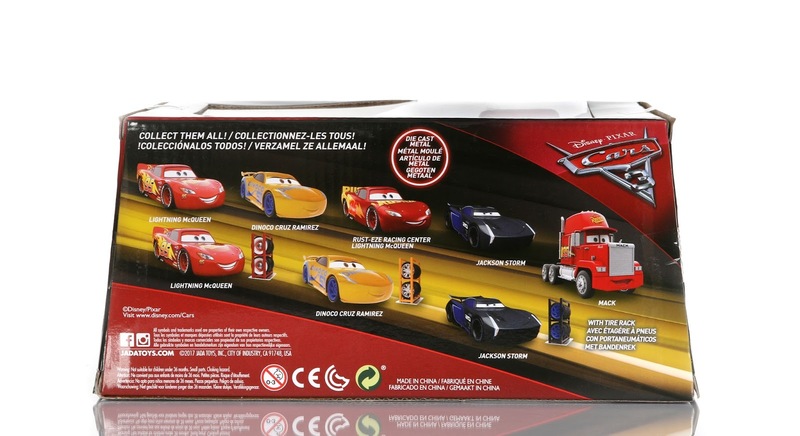 The collection began with characters from the first film, namely, [original] Lightning McQueen, Dinoco Blue Lightning McQueen, Cruisin' Lightning McQueen, Fillmore and Mack. 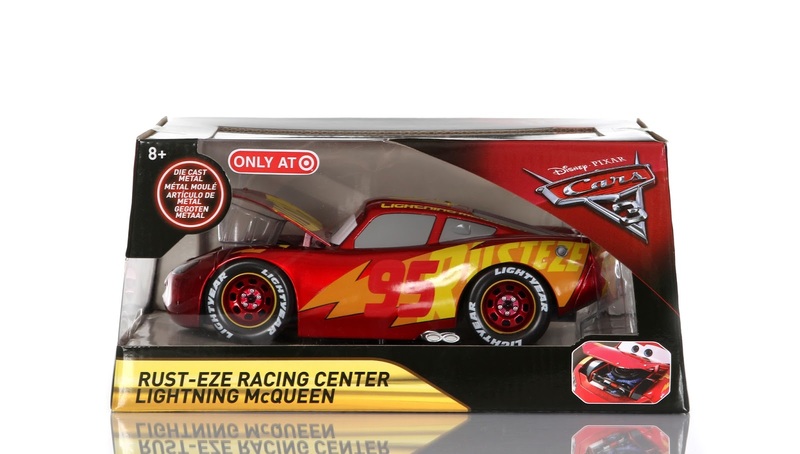 It then quickly transitioned into Cars 3 characters and designs in which Lightning McQueen, Dinoco Cruz Ramirez, Jackson Storm, Mack and this Target exclusive Rust-Eze Racing Center Lightning McQueen were released. 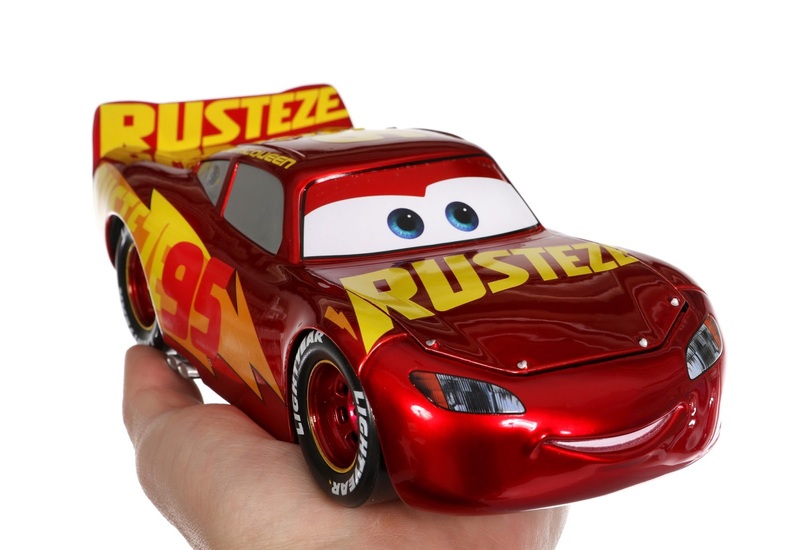 Finally, a metallic gold Dinoco Cruz was also just available exclusively at the 2017 D23 Expo and the Fabulous Lightning McQueen (blue deco) is just hitting store shelves now. I'm sure even more are on their way. 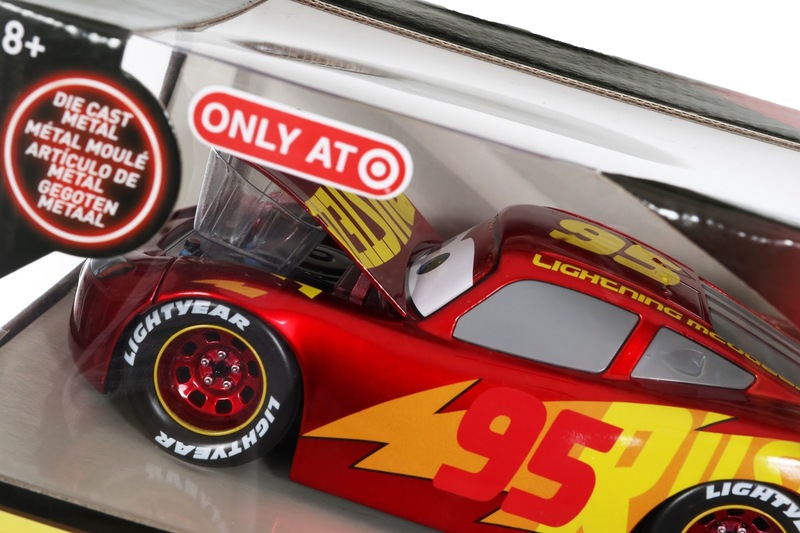 As seen on the package below, you can actually buy most of the cars in this collection in two ways: with the extra "Pit Crew" accessories or without (the racers get additional tires and a rack, while Fillmore gets gas cans). Retail is $17 for the diecasts without the extras and $20 with the extras. 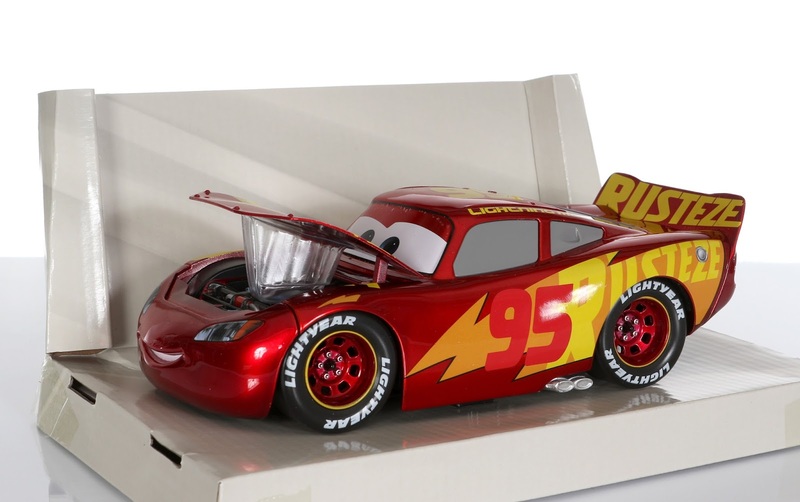 Note: This Racing Center McQueen only came as is. 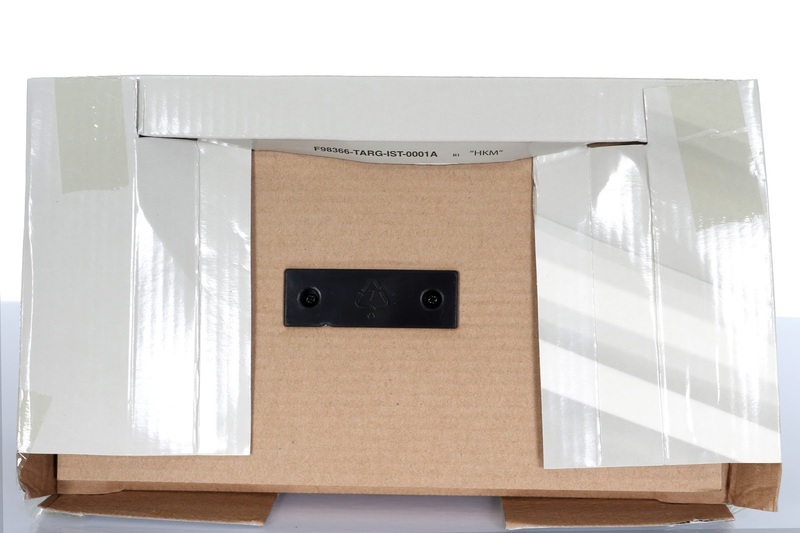 No version with added accessories was released. I'm very impressed with this collection. The cars are definitely geared more towards older collectors and work as fantastic display pieces. This one in particular really stood out (since I love this design in the film), so I had to go for it! 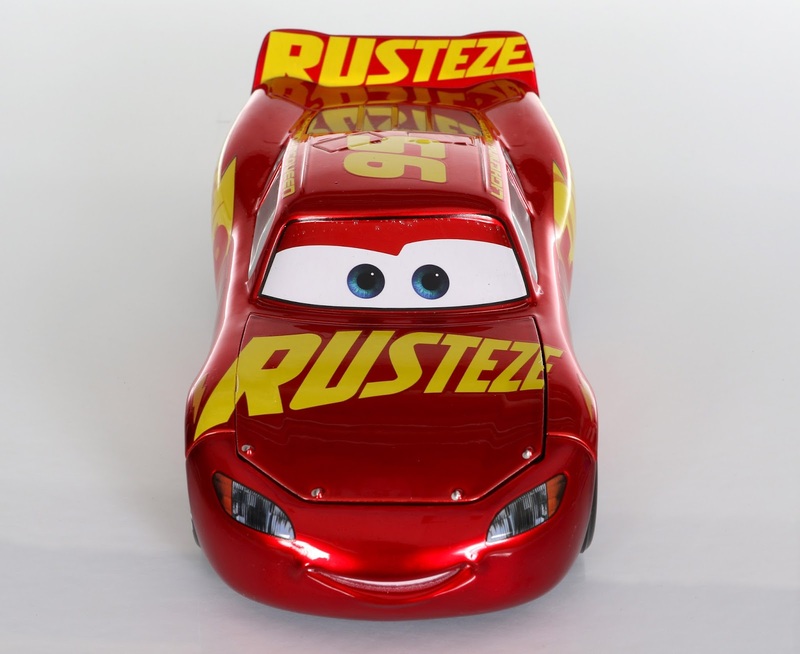 This was actually a gift from my parents (they knew I liked it) who gave it to me on the day Cars 3 hit theaters. That was super thoughtful and festive of them! 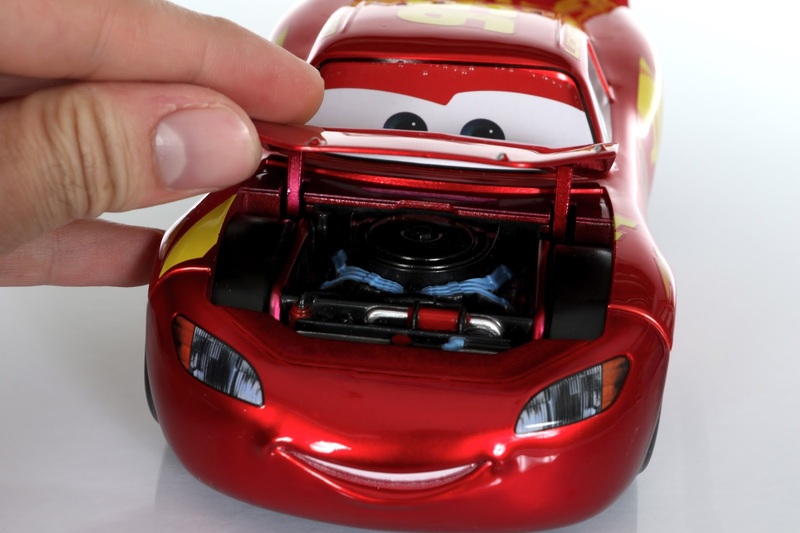 The size of McQueen here is right around 7.5" long, 3.5" wide and 2.5" tall. 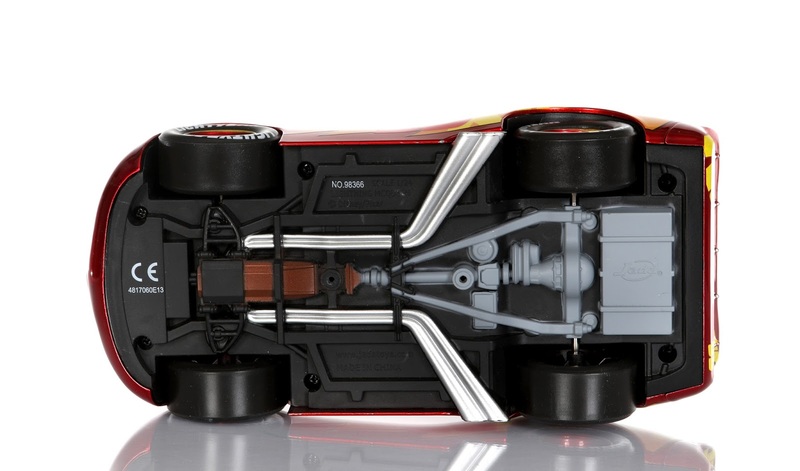 He features amazing movie accurate details all around, including rubber tires and an opening front hood. The chrome finish is outstanding—it's like he drove right out of the film. This McQueen also has some nice weight to it and feels solid and well made overall. There are no surface level decals or paper stickers (any decals he has are are presumably sealed over with some type of coating). Upon opening any of these Jada diecasts, make sure you have a phillips head screwdriver handy since they're bolted in tight. Take a look at this amazing diecast out of the box! My hand in the photo below will give you a better sense of its size. There's no denying that this is a really stunning piece. 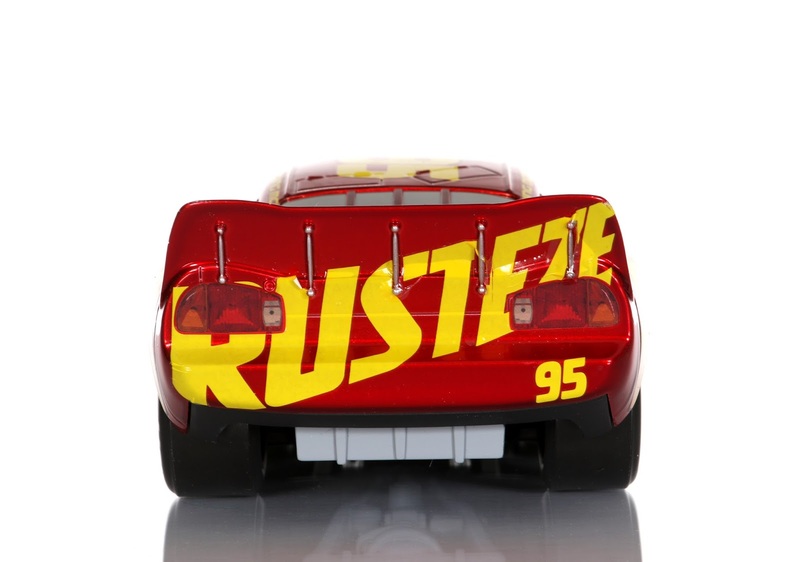 Though I'm not planning on collecting any more of these (only because of space and money reasons since I already collect all of the Mattel 1:55 scale diecasts), I can absolutely recommend this and the whole Jada diecast collection to any Pixar Cars fan/collector. 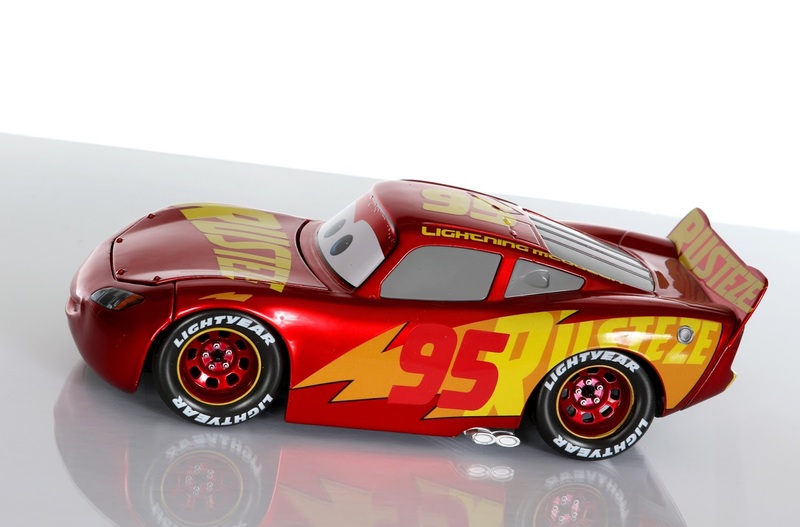 Interested in picking this Rust-Eze Racing Center McQueen up? Be sure to check your local Target for availability. If you're having trouble finding it still, you can always check eBay using this direct link to current listings or Amazon using the link below.